Glaucoma. Diabetes is a relative risk factor for the development of glaucoma. 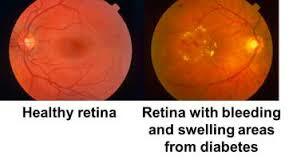 A rare, but very severe form of glaucoma called “neovascular glaucoma” is found in advanced diabetics.